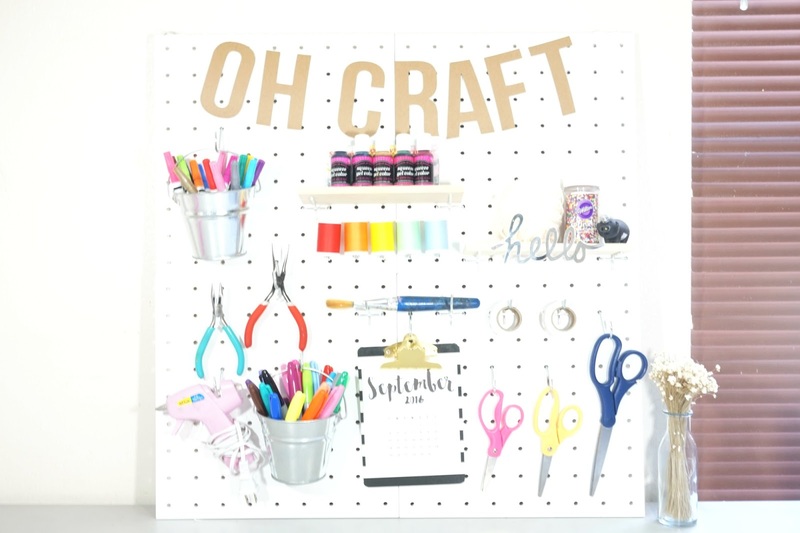 I finally put this pegboard together and I am in love!!! It gives my workspace so much life and color I don’t even want to leave my desk! This isn’t my typical DIY but I wanted to share this with you guys and hopefully provide some inspiration! 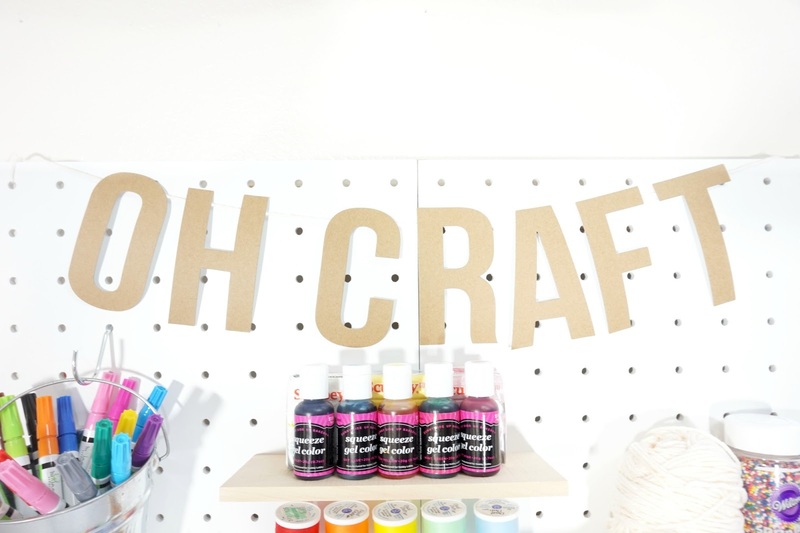 With the limited space, I made sure to only place things that I use frequently while my other craft supplies are in the closet! 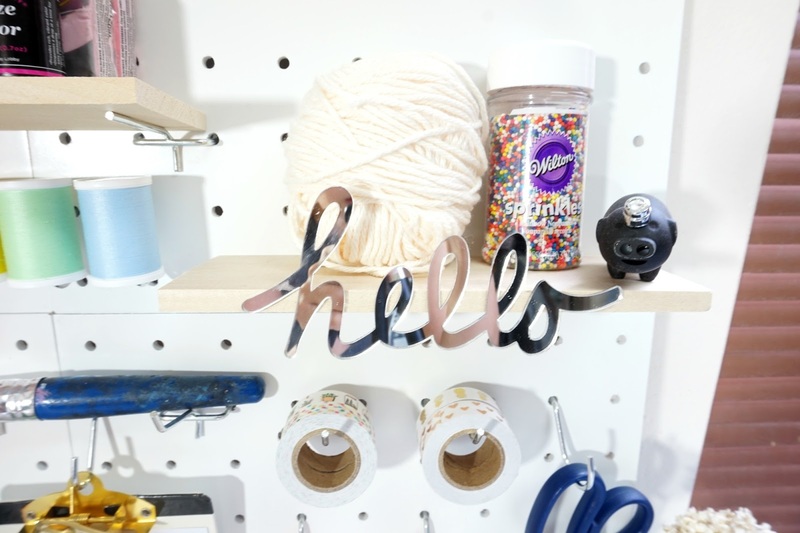 This is such a cute way to organize things you may have on your desk and the best part is that you can always rearrange and redecorate whenever you want! I was browsing through the “dollar” section at Target and found these pegboards for $5 each. I bought 4 so I could make a larger pegboard and what’s really awesome is that it comes with hooks for you! The hooks I used to hold the wood was actually curved at the end. I took a hammer and flatten the hook so the wood could lay flat. You can get a piece of wood at Home Depot and have them cut it for you! If you noticed the banner, it sounds like oh crap and I thought it would be funny to hang since I had those letters just laying around. I purchased the buckets at a local store for $1 each. This project was so affordable; it was under $25! 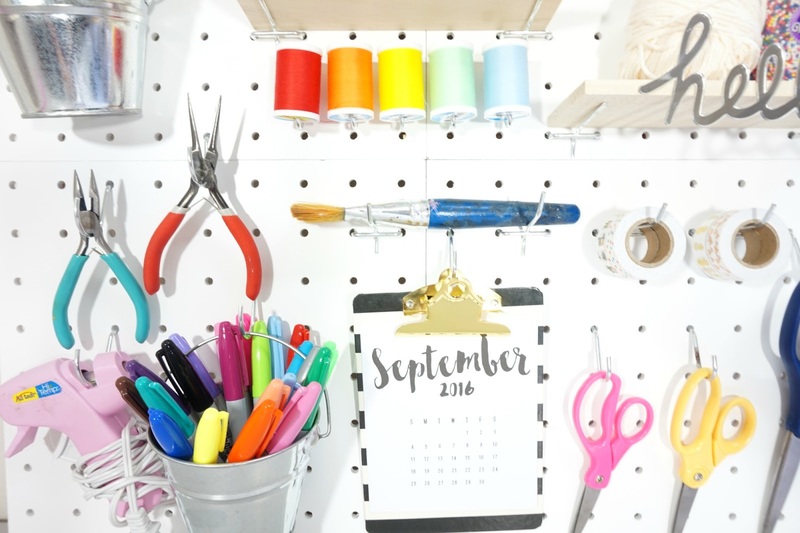 All the supplies on my pegboard were things I had at home: scissors, sharpies, markers, thread, etc. I can’t wait to see how many times I redecorate this piece!